Credit is vital to Eurozone firms. SMEs create 80% new jobs and fund 80-90% through bank loans. But banks are not lending: they cut over €600bn of loans to non-financial firms since the crisis, 12% of the initial stock and twice the size of the European high yield bond market. The credit crunch is worst in the periphery, where over a fifth of firms say lack of credit is their main problem. Even after the ECB stress test, many banks in the Euro area remain weak and focused on rebuilding capital, also in light of more upcoming regulation. Despite more ECB action pushing bond yields down, credit is still not getting to the real economy. Investors are sceptical: 51% believe sovereign bond QE will work only in financial markets, while 25% believe it will not work at all. To fix the credit crunch, lowering yields is not enough – Europe needs an instrument linking markets to the economy. Asset backed securities (ABS), together with other instruments (mini-bonds, crowdfunding), can provide this missing link for stimulus to reach out to small firms. 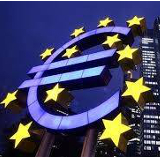 The market for asset-backed securities is now supported by the ECB purchase programme (ABSPP), but remains segmented and lacking standardisation, with many regulatory hurdles hindering its potential growth. The ECB has so far bought €788mn of ABS, a tiny fraction of the €1.4tn market. In this paper, we analyse the economics of ABS and discuss the potential policy measures which could unlock the development of “simple, transparent and real” asset backed securities. We believe that ABS could help plug the eurozone’s credit gap, particularly concentrated in bank-centred periphery economies, where loans represent up to 95% of credit. The creation of a “simple, transparent and real” ABS instrument would also make sovereign QE more effective through the portfolio rebalancing channel, giving investors a new asset class to buy, as a substitute of sovereigns and covered bonds. Finally, transitioning from a bank-centred to a more market-based credit supply would make Europe’s financial system more resilient to future shocks and less vulnerable to banks, which are still three times larger than GDP, among the largest in the world.